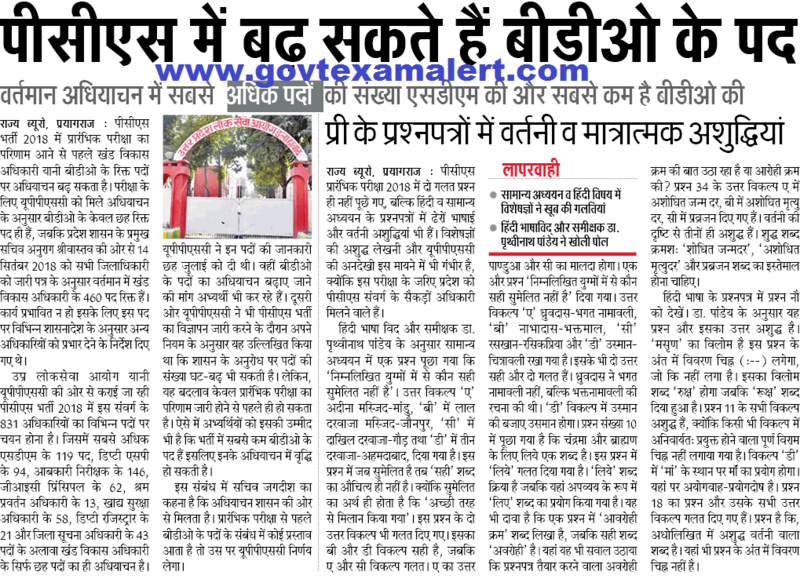 Uttar Pradesh Public Service Commission has conducted most awaited Exam in UP i.e. PCS 2018 Exam. This Year’s PCS Exam had something different as First Exam was to be conducted Earlier but Postponed. 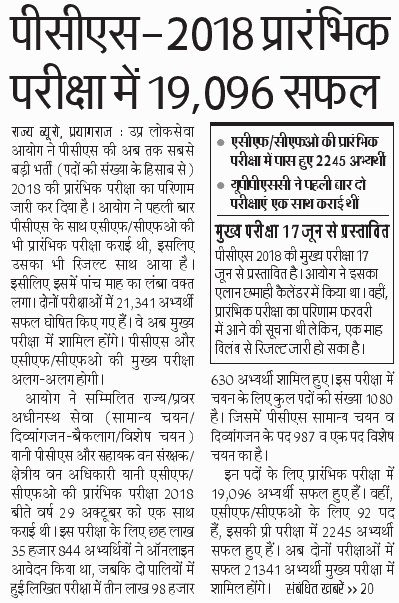 Another Chance will be given to csat affected Candidates. Finally UPPSC announced Exam Date in their Exam Calendar in between enquirers were on other Posts. 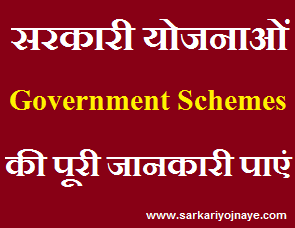 There were some talking about change in Mains Exam Pattern like UPSC IAS Exam. UPPSC conducted PCS Pre Exam 2018 on Sunday 28th October. After Exam Candidates must be looking for up pcs result for Preliminary Exam. Here you will find All updates & UPPSC PCS Pre Result 2018. UPPSC PCS Result 2018 Pre Exam : UPPSC will announce PCS Mains Exam Result on its Official Website. 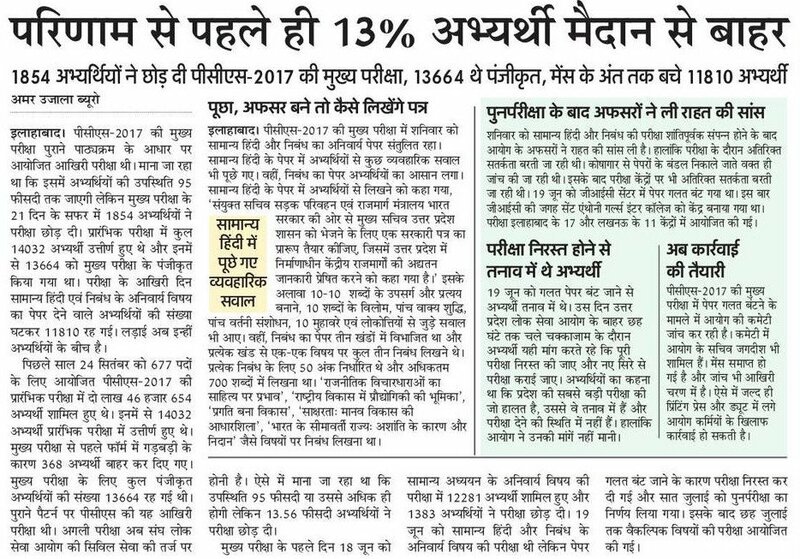 PCS Pre Exam was conducted on 1381 Centres of 29 Districts. 62.42% Candidates appeared in Exam. There were 831 Posts for PCS & 92 Posts of ACF/ RFO. Total 6,35,844 Candidates has applied for this exam. 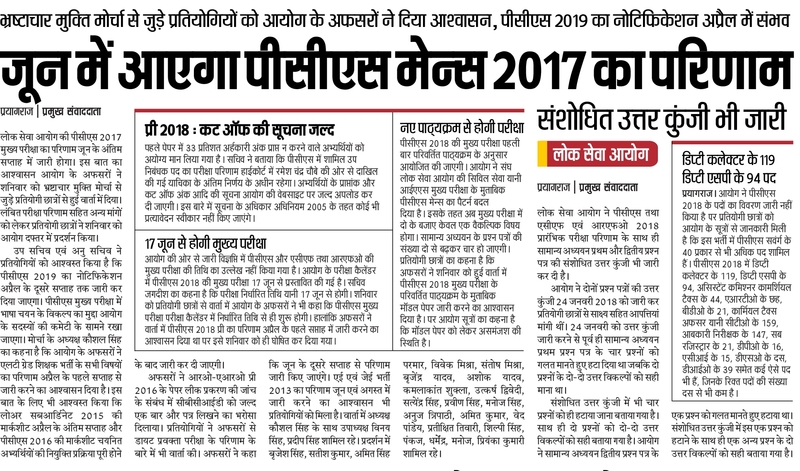 It is Expected that UPPSC PCS Pre Exam Result 2018 may announce in January, 2019. Candidates need to have regular watch on UPPSC Official Portal for Information regarding Result. Visit Official Website of uppsc (http://uppsc.up.nic.in/). On Home Page, You will Find Section Named as Information Bulletin in Corner. In Information Bulletin Column, You will Find Link to Download Notice of Combined State/ Upper Subordinate Services Prelim Examination Result 2018. On Clicking that Link You will be able to Download .pdf of PCS Pre Exam Result 2018. Candidates can check their Result by searching from Roll No. Shortlisted Candidates from Pre Exam will called up for Mains Exam. After Mains Exam, Interview will be conducted. UPPSC PCS Mains Exam Date/ Schedule/ Admit Cards will be uploaded on UPPSC Website. My name is Pallavi Singh and is general candidate. I’m getting 79 questions correct in uppcs 2018 pre exam.plz tell about my chances of clearing uppcs pre 2018.i m in great tension. how many wrong questions in exam ? I attempted all 150 questions, and total 97 questions are correct out of 146 .my 48 questions are wrong from 146 questions now. After calculation I’m getting 79 questions correct. you have chances for mains exam. Check Expected Cut Off Marks from link below..